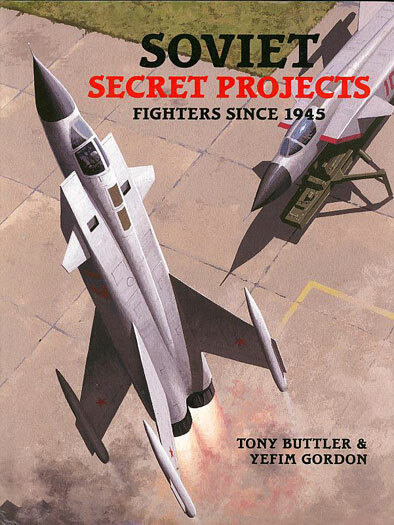 After a comprehensive look at the many British fighter and bomber types that never got off the drawing board or past prototype stage, Tony Butler has now teamed up with Yefim Gordon to do the same behind the Iron Curtain. This volume follows on from a companion volume on Bombers by the same team. It is again from the Midland Counties Imprint of Ian Allan Publishing and as such the look, feel and overall quality are assured. Despite the seeming layer of security that overlayed Soviet aviation developments, I was surprised how many of the designs covered in this volume were familiar, either as progeny of well known types from MiG and Sukhoi or in their own right. This book covers a lot of ground given it addresses designs from the end of World War Two until the present day. Starting the early straight wing designs of Yakovlev and Lavochkin, the reader is taken on a tour of the sometimes brilliant, sometimes twisted minds of Soviet aircraft designers. 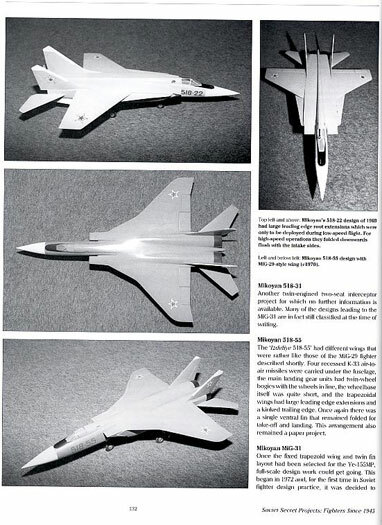 Gordon and Butler then progress through supersonic swept wing, radar, equipped, heavyweight, VTOL, rocket powered and swept wing types. 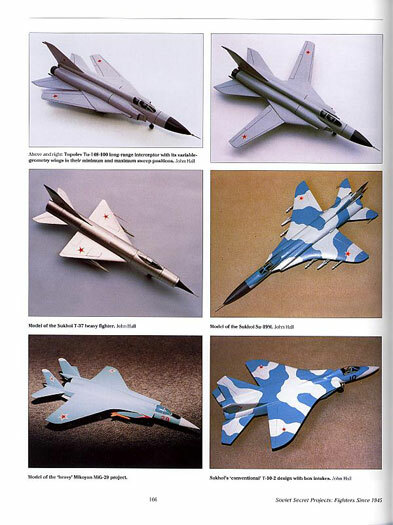 The final chapters look at the more familiar types that have emerged following the fall of the Soviet Union, including variations of the Su-27 and MiG-29 and the more unusual and breath-taking prototypes and design variations that have resulted in the S-37 Berkut and MiG I.44. Unsurprisingly the final types get more than their fair share of colour which makes up for the overly monochrome coverage of the early types. In summary, this volume makes for an interesting read. For some the challenge of making one of these developmental dead-ends in scale form will bring out the scratch builder in them. For others it will provide useful background on a very important subject. Regardless the book will serve both fans of Russian aviation and modellers well.